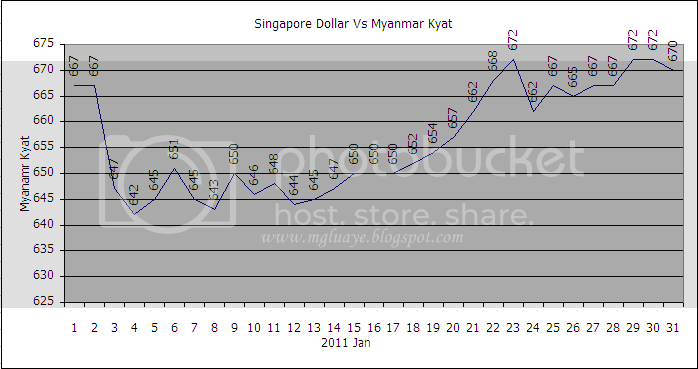 For the month of January 2011, the average exchange rate between SGD and Myanmar Kyat was 656.2581/SGD (19.8709 down from previous month average rate), highest was 672 Ks/SGD on 23rd, 29th and 30th of January and fell lowest till 642 Ks/ SGD on 4th of January. 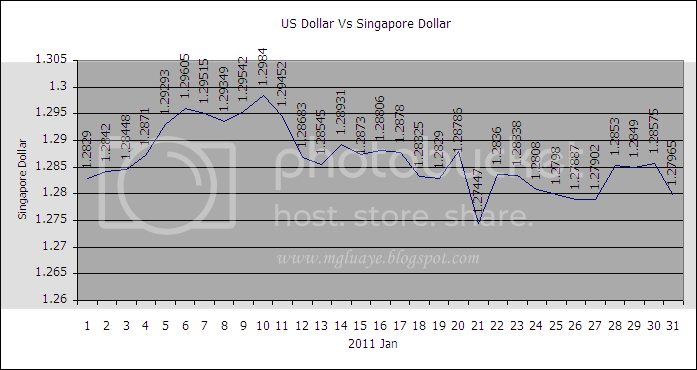 For USD vs SGD, the average rate for the month of January was 1.2864 SGD/USD (0.0192 down from previous month average rate), highest 1.2984 on 10th of January and lowest 1.2745 on 21st of January. turn the light on for me personally as far as this issue goes. issues like that, but I am positive that your job is clearly recognized as a good game. affected my career if I had not come across your blog. Your understanding and kindness in taking care of a lot of things was priceless.